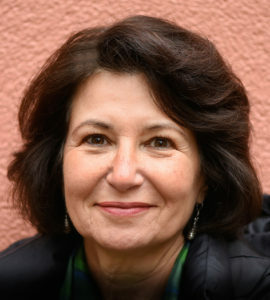 Patricia Genoud-Feldman is an Insight Dialogue Teacher, offering retreats in Europe. She began practicing Vipassana and Brahma Vihara on intensive retreats and Dzogchenin in Asia in 1984. Her two main teachers were Dilgo Khyentse Rinpoche and Sayadaw U Pandita. After much time spent on retreat, Patricia completed teacher-training at the Insight Meditation Society in Barre, Massachusetts under the guidance of Joseph Goldstein and other senior teachers. Patricia was introduced to Insight Dialogue at a retreat in the autumn of 2003 and then joined the very first teacher-training meeting. Patricia has led Vipassana retreats worldwide since 1997. In 1999 she became the co-founder and guiding teacher of the Vimalakirti Meditation Center in Geneva Switzerland where she lives with her husband. Patricia is inspired by the Dharma and its clear potential to merge meditation and life, whether it is in solitary practice or in the relational practice of Insight Dialogue. Her teaching emphasizes the integration of love and wisdom on the path to liberation.